Contact us to start today. Assessment is a critical part of effective instruction. Research has shown that educators who implement reliable and valid assessments to guide instructional decisions will promote student learning. 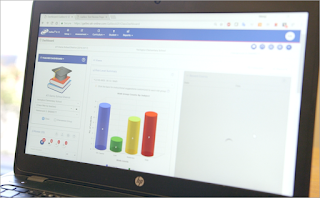 That’s why ATI’s Galileo K-12 comprehensive assessment system is designed to help inform educational decisions promoting student learning in K-12 math, ELA, science, and other subjects. What makes the comprehensive assessment system exceptional? Let’s begin with its broad array of standards-based, curriculum and pacing guide aligned customized assessments built to client specifications every year. ATI’s in-house Educational Management Services and Research teams, based on your assessment requests, do the assessment construction work for you. The resulting tests will not have accidental duplications across the academic year, will be free of item enemies, will address the Depth of Knowledge levels you specify, and will contain, if you so desire, technology enhanced items. An additional option provided through the system is a wide variety of high-quality, pre-built assessments. These include benchmark, formative, pretest and posttest, placement, summative, computer adaptive, end-of-course, college prep assessments, plus more. ATI’s Secure and Community Item Banks offer 19 item types including constructed response and technology-enhanced items. Each of these item types is designed to engage students in complex thinking to help ensure college and career readiness. Educators can also access more assessment and item choices through the integrated Inspect® and Certica item banks, including Certica’s Navigate Item Bank™. ATI understands that educators also need to be able to create their own items and assessments quickly and easily. To facilitate this, our intuitive and powerful Test Builder and Item Builder interfaces make creating your own assessments and items a snap. Options are great, but to understand what really makes the Galileo comprehensive assessment system so special, we need to take a look under the hood. Powered by ATI research, Galileo takes advantage of Item Response Theory (IRT), and other state-of-the-art statistical analyses to go beyond systems that only report raw scores and percent correct. ATI uses IRT to measure the Developmental Level (DL) of each student. The DL score indicates what students have already mastered and what they are ready to learn next. Galileo assessments place DL scores and measures of test difficulty on a common scale ensuring that DL score changes reflect growth, not variations in test difficulty. DL scores can then be used to effectively forecast student performance on statewide assessments. Galileo’s innovative Dashboards graphically illustrate this critical information to help educators apply their efforts where needed most—making instruction even more effective. Contact us to start your complimentary trial of the Galileo comprehensive assessment system. With high-powered data, easy to use tools, and robust item banks, the Galileo comprehensive assessment system is designed to promote success for all students. This is the assessment system you've been searching for. Own your assessment-process and let research work for you, with the Galileo K-12 comprehensive assessment system. To learn more about other Galileo services and features, visit us at www.ati-online.com.